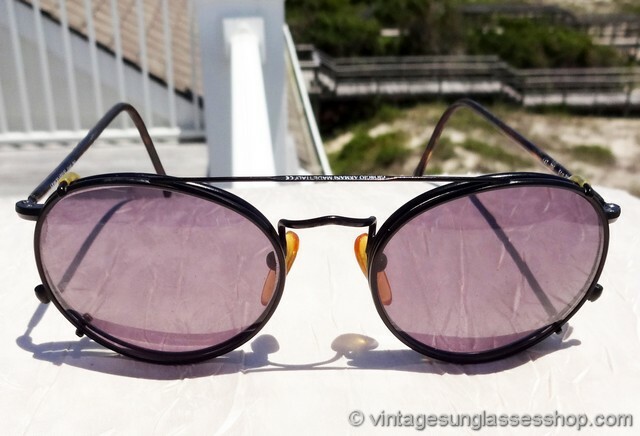 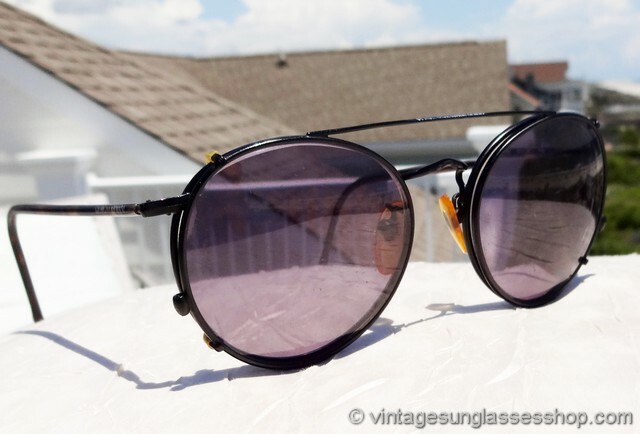 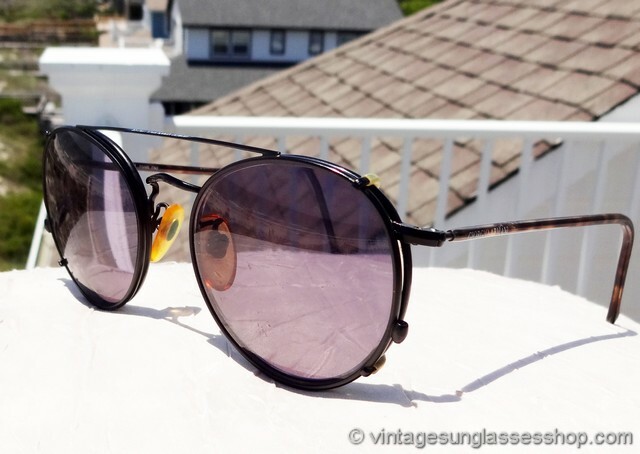 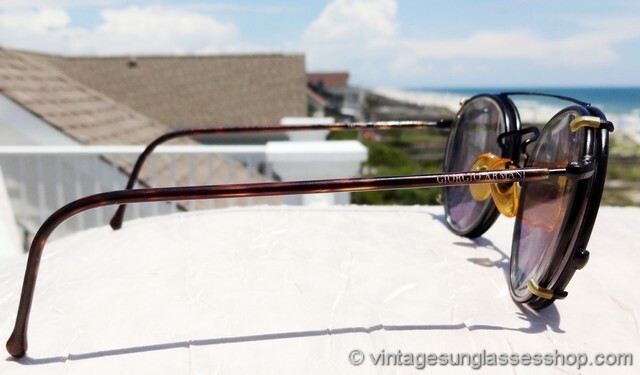 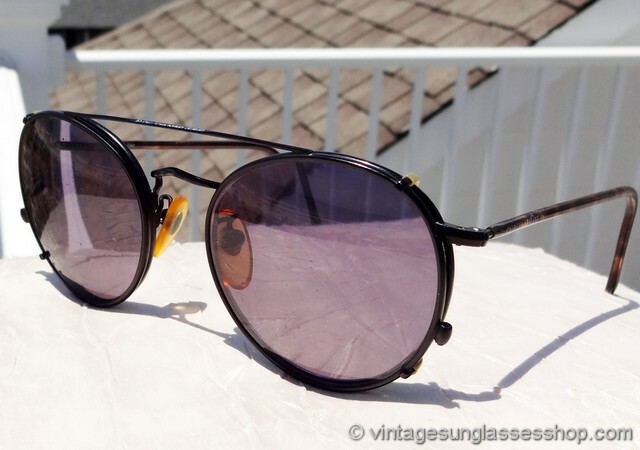 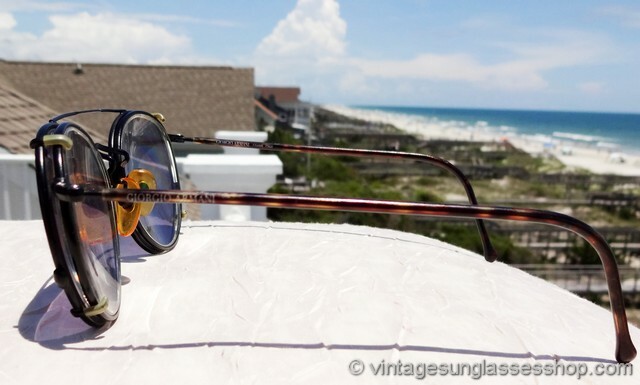 Vintage Giorgio Armani 147 976 eyeglass frames are one of his most famous designs, with black metal front frame and tortoise shell ear stems, and here you get them paired perfectly with Giorgio Armani 186 976 clip on sunglasses that feature perfectly sized and matched black frame with super cool purple tint lenses. 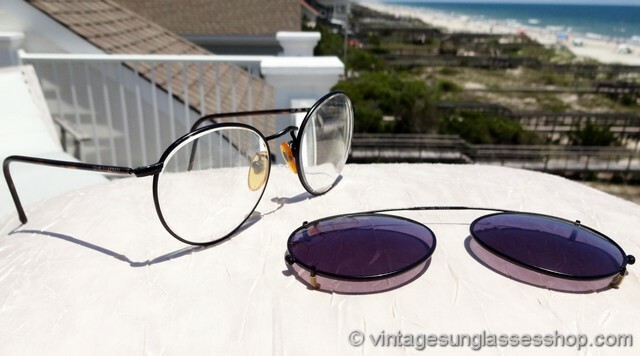 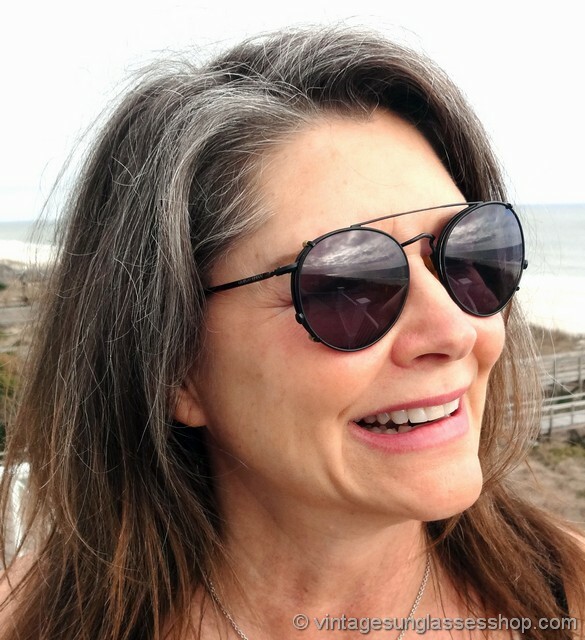 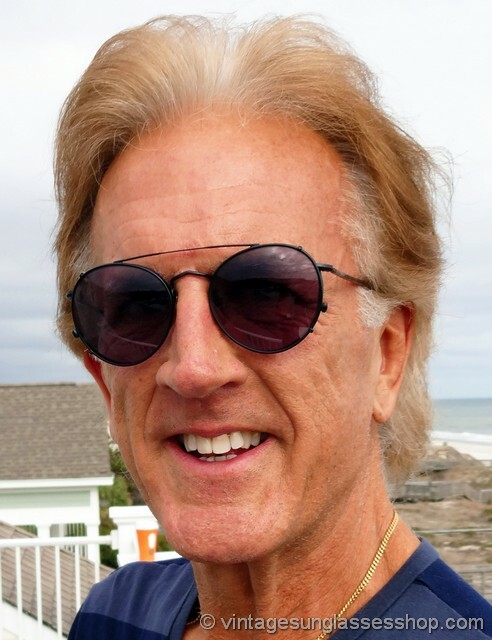 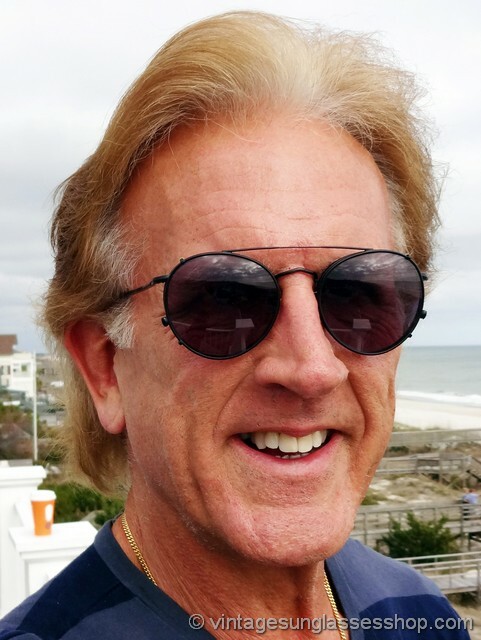 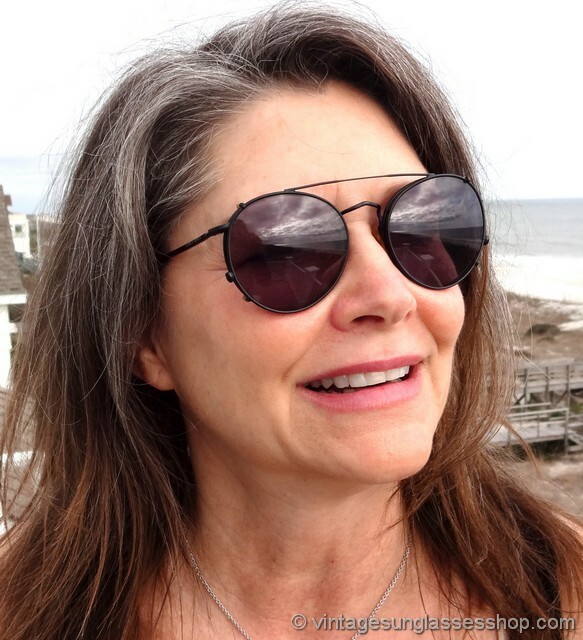 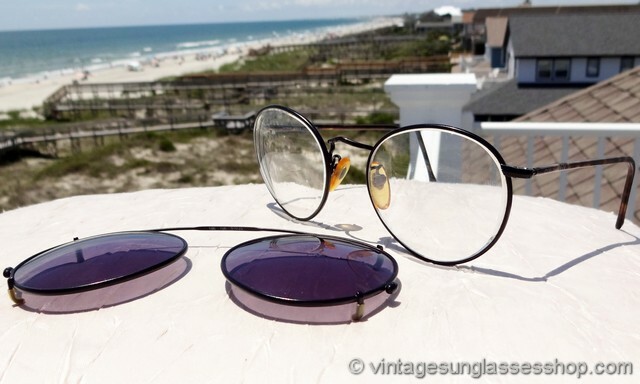 Current lenses in the eyeglasses themselves are RX prescription and ready to be swapped out, and the clip on sunglasses of course are original Armani non-RX lenses. 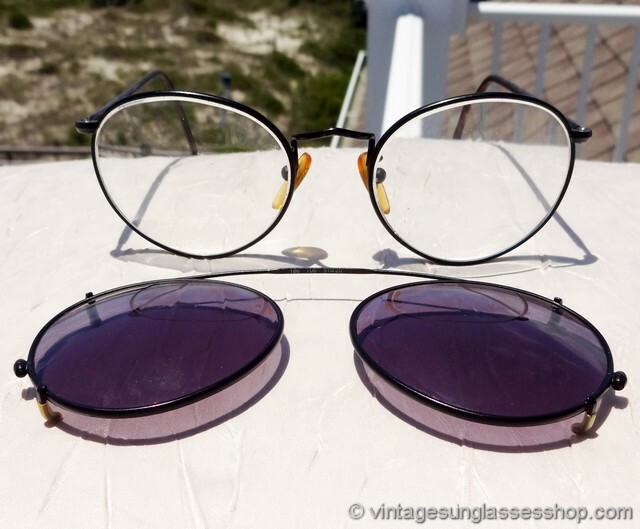 The unisex Armani 147 976 frame measures approximately 5.25" temple to temple, and the lenses measure approximately 2.0" x 1.75" at the widest points. 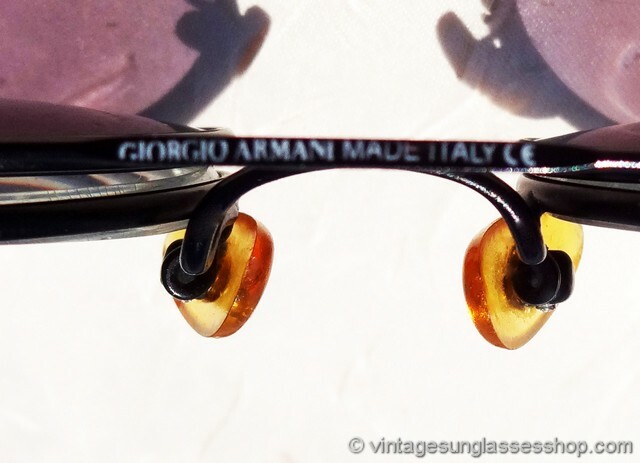 You'll find the Giorgio Armani logo embossed on the exterior of both ear stems, and the inside of one stem is marked Giorgio Armani Frame Italy while the inside of the other stem is marked 147 706 51  20 145. 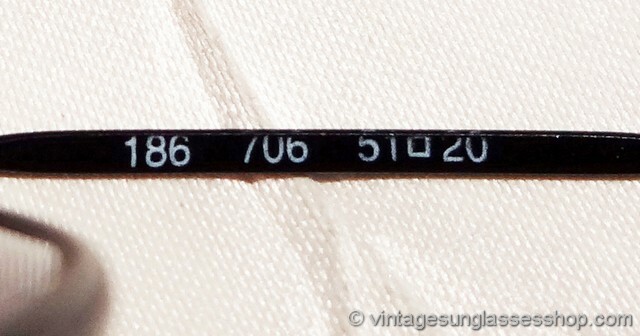 The top of the clip on nose bar is marked Giorgio Armani Made Italy CE and the bottom of the bar is marked 186 706 51  20. 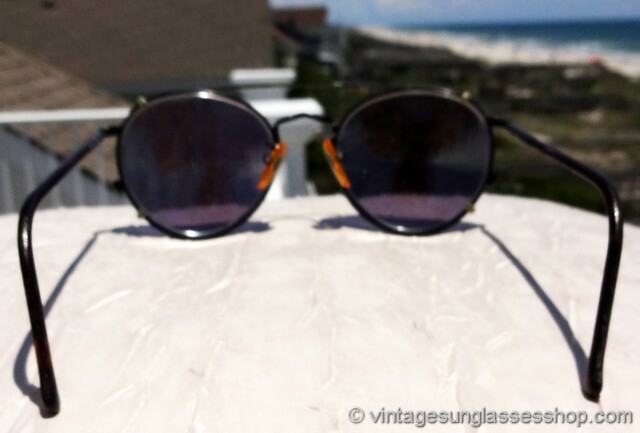 Rare and cool!